CAMBRIDGE, MA — MIT chemists have devised a way to rapidly synthesize and screen millions of novel proteins that could be used as drugs against Ebola and other viruses. All proteins produced by living cells are made from the 20 amino acids that are programmed by the genetic code. The MIT team came up with a way to assemble proteins from amino acids not used in nature, including many that are mirror images of natural amino acids. These proteins, which the researchers call "xenoproteins," offer many advantages over naturally occurring proteins. They are more stable, meaning that unlike most protein drugs, they don't require refrigeration, and may not provoke an immune response. "There is no other technological platform that can be used to create these xenoproteins because people haven't worked through the ability to use completely nonnatural sets of amino acids throughout the entire shape of the molecule," says Brad Pentelute, an MIT associate professor of chemistry and the senior author of the paper, which appears in the Proceedings of the National Academy of Sciences the week of May 21. Zachary Gates, an MIT postdoc, is the lead author of the paper. Timothy Jamison, head of MIT's Department of Chemistry, and members of his lab also contributed to the paper. Pentelute and Jamison launched this project four years ago, working with the Defense Advanced Research Projects Agency (DARPA), which asked them to come up with a way to create molecules that mimic naturally occurring proteins but are made from nonnatural amino acids. "The mission was to generate discovery platforms that allow you to chemically manufacture large libraries of molecules that don't exist in nature, and then sift through those libraries for the particular function that you desired," Pentelute says. For this project, the research team built on technology that Pentelute's lab had previously developed for rapidly synthesizing protein chains. His tabletop machine can perform all of the chemical reactions needed to string together amino acids, synthesizing the desired proteins within minutes. As building blocks for their xenoproteins, the researchers used 16 "mirror-image" amino acids. Amino acids can exist in two different configurations, known as L and D. The L and D versions of a particular amino acid have the same chemical composition but are mirror images of each other. Cells use only L amino acids. The researchers then used synthetic chemistry to assemble tens of millions of proteins, each about 30 amino acids in length, all of the D configuration. These proteins all had a similar folded structure that is based on the shape of a naturally occurring protein known as a trypsin inhibitor. Before this study, no research group had been able to create so many proteins made purely of nonnatural amino acids. "Significant effort has been devoted to development of methods for the incorporation of nonnatural amino acids into protein molecules, but these are generally limited with regard to the number of nonnatural amino acids that can simultaneously be incorporated into a protein molecule," Gates says. After synthesizing the xenoproteins, the researchers screened them to identify proteins that would bind to an IgG antibody against an influenza virus surface protein. The antibodies were tagged with a fluorescent molecule and then mixed with the xenoproteins. Using a system called fluorescence-activated cell sorting, the researchers were able to isolate xenoproteins that bind to the fluorescent IgG molecule. This screen, which can be done in only a few hours, revealed several xenoproteins that bind to the target. In other experiments, not published in the PNAS paper, the researchers have also identified xenoproteins that bind to anthrax toxin and to a glycoprotein produced by the Ebola virus. This work is in collaboration with John Dye, Spencer Stonier, and Christopher Cote at the U.S. Army Medical Research Institute of Infectious Diseases. The researchers are now working on synthesizing proteins modeled on different scaffold shapes, and they are searching for xenoproteins that bind to other potential drug targets. 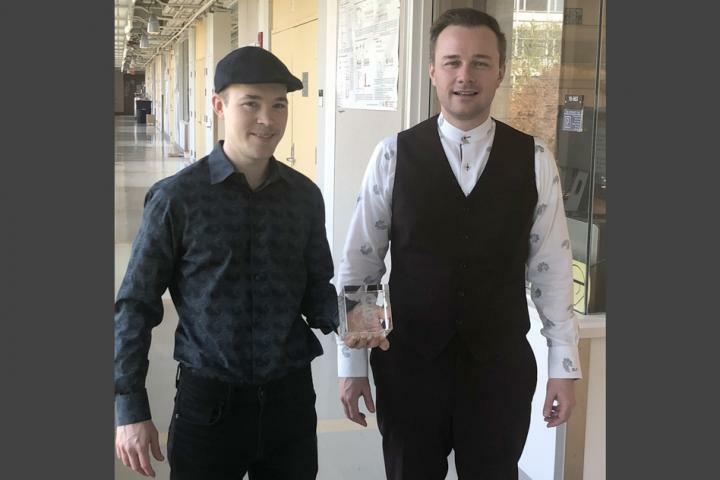 Their long-term goal is to use this system to rapidly synthesize and identify proteins that could be used to neutralize any type of emerging infectious disease. "The hope is that we can discover molecules in a rapid manner using this platform, and we can chemically manufacture them on demand. And after we make them, they can be shipped all over the place without refrigeration, for use in the field," Pentelute says. In addition to potential drugs, the researchers also hope to develop "xenozymes" — xenoproteins that can act as enzymes to catalyze novel types of chemical reactions. The research was funded by DARPA and a STAR Postdoctoral Fellowship from Novo Nordisk.